2015 BMW 328d Sedan is a part of the BMW 3 series and has earned the reputation of being highly fuel efficient and having a magnificent exterior. 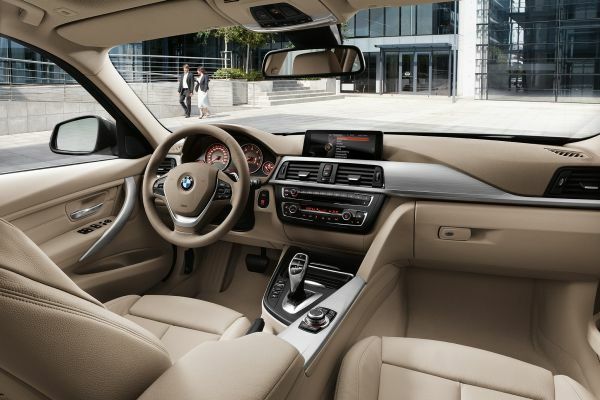 As expected in any BMW sedan, it is luxurious, sleek with high detailing. It has a big-sized trunk and when you drive it, it will feel smooth. It is a 4-door vehicle with magnetic styling and amazing features. This four door sedan has a wheelbase of 110.6 inches. 2015 BMW 328d Sedanis 182.2 inches long, 71.3 inches wide and 56.3 inches high. It has alloy wheels measuring 17 x 7.5 inches. The curb weight is 3510 pounds. A host of colors in exterior is available such as liquid blue metallic, jet black, Mojave metallic, Melbourne red metallic, and mineral white metallic. The interior has been given an upscale look to match with the splendor of the exterior. Seating for 5 passengers has been provided. The front row has the leg room of 42.0 inches while shoulder room is 55.1 inches with head room of 40.3 inches. On the other hand, the second row has 35.1 inches, 55.1 inches and 37.7 inches of legroom, shoulder room and head room respectively. Rear seat passengers will find it very spacious and comfortable. The three spoke steering wheel and a decent LCD screen along with tastefully done décor give it an elite look inside. It is powered by a turbocharged and intercooled DOHC 16-valve diesel inline-4 direct fuel injection engine. The 2 liter engine generates 180 horsepower @ 400 rpm and a torque of 280 ft.-pounds @ 1750 rpm. It is a front engine with rear wheel drive. The power to the wheels is given through 8-speed automatic transmission with manual shifting mode. It can accelerate from 0-60 mph in 6.8 seconds and 0-100 mph in 18.8 seconds. 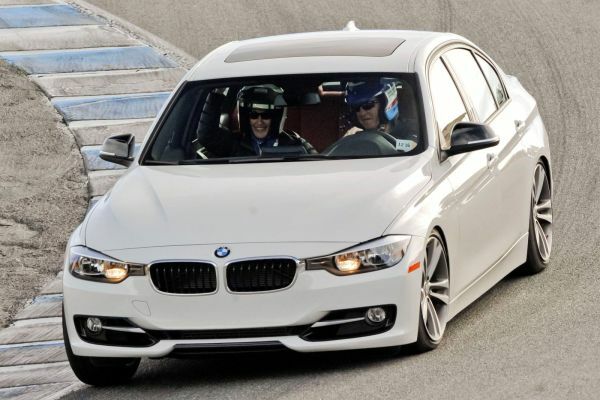 You will get the top speed of 145 mph from this 328d sedan. The mileage offered is 32/45 mpg for city/highway while combined mileage has been observed to be 39 mpg. 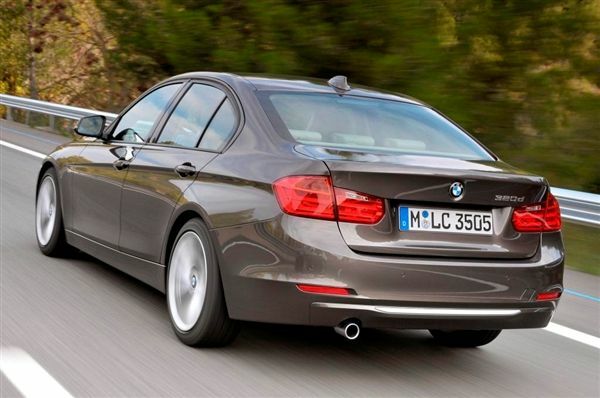 2015 BMW 328d Sedan is priced at around $39,950-$43,450. It has been launched already and is available in the US market. 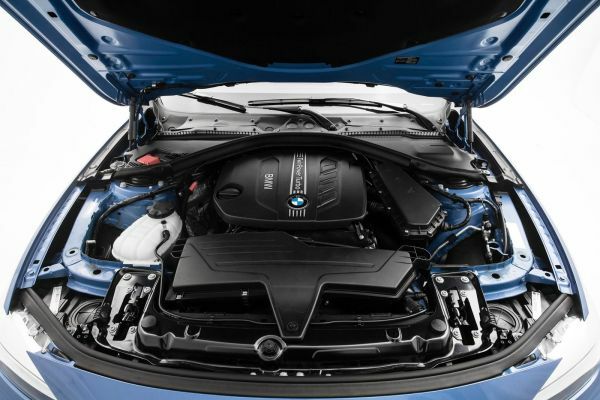 2015 BMW 328d Sedan is a compact sedan with impressive features. It is agile, fuel-efficient and definitely stands out on the road. It runs on a 2 liter turbocharged diesel engine giving city/highway/combined mileage of 32/45/39 mpg. It competes with Mercedes-Benz C class Sedan, Infiniti 50 and Cadillac ATS.